This Jigsaw Picture Puzzle is dedicated to Rubik Cubes. This is an easy Jigsaw Puzzle for Kids. 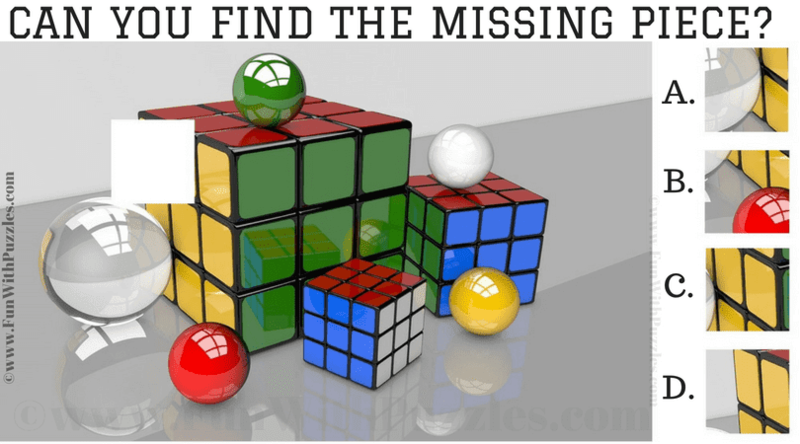 In this Jigsaw Picture Puzzle, one square piece is taken from the puzzle image of Rubik Cubes. 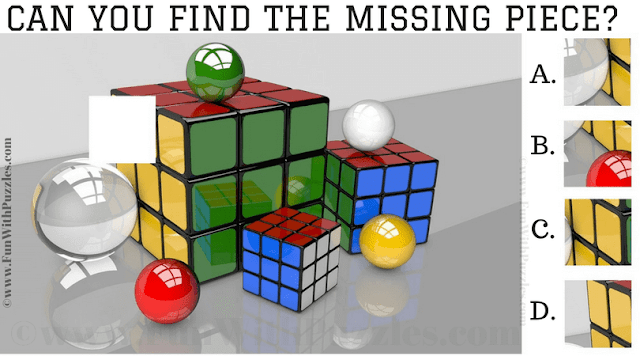 Can you find the correct missing piece from the given 4 pieces which which is taken out from this puzzle picture? Answer of this "Jigsaw 3D Cube Picture Puzzle for Kids", can be viewed by clicking on button. Please do give your best try before looking at the answer.